Since its formation in 2004, the Roundtable on Sustainable Palm Oil (RSPO) has always had the underlying goal of promoting the uplifting of environmental, social and economic standards through the supply chain of oil palm products. This has been done in large part through RSPO member’s support of certification, using transparent principles, criteria, indicators and guidance. This support has come from all RSPO members, including NGO members who have played a significant role in encouraging more companies to become members of the RSPO. In relation to Palm Oil Investigations (POI)’s withdrawal of support for RSPO, published on http://www.palmoilinvestigations.org/poi-position-statement-on-the-rspo.html on 12th September 2016, RSPO would like to address point by point the items reported in the POI statement, and direct readers to the RSPO responses issued at the time of the reports and RSPO actions. Below, readers will also find comments in relation to the allegations made against the RSPO Complaints Panel members and the Complaints Panel work. June 2014 – A Finnwatch report reveals migrant labour exploitation contravening RSPO social criteria and legal minimum wage conditions on IOI plantations in Malaysia, with many observed conditions considered indicators for forced labour by the International Labour Organisation (ILO). ​RSPO fully acknowledges the existence of serious problems in the protection of workers and human rights in the global intensive agriculture sector, including the oil palm sector. Regarding the allegation in the report that RSPO does not define an adequate living wage, RSPO responded at the time that Principle 6.5 provided clear guidance on this point. Also a separate response and full report was published as a follow up to the investigations on the specific case. November 2015 - Environmental Investigation Agency (EIA) releases a damning report exposing critical flaws in the RSPO’s supply chain certification system, including weaknesses in oversight, control failures, fraudulent behaviour, conflicts of interest and unskilled personnel. RSPO with its third-party oversight body, Accreditation Service International (ASI), worked to review the case studies analysed by EIA. 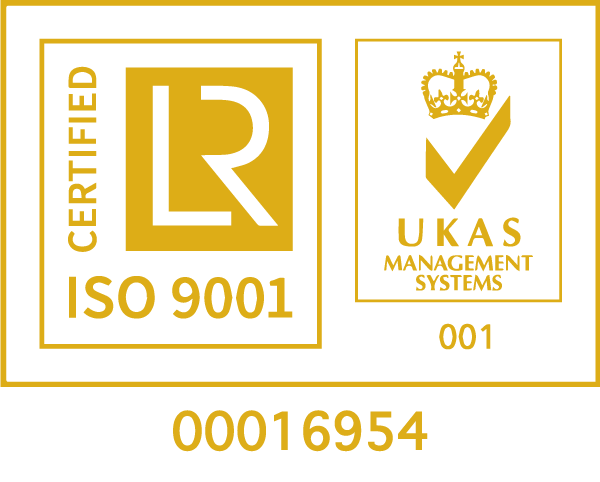 All RSPO Certification Bodies are accredited by ASI which provides independent third-party accreditation to the RSPO’s certification program and it conducts regular assessments of Certification Bodies, including both office and field witness verifications. Please refer to the statement here. Moreover, to further strengthen its assurance framework and deliver the credibility demanded by stakeholders, RSPO welcomes a constructive dialogue with all interested parties in the framework of the RSPO Assurance Task Force, which aims at improving the effectiveness of how RSPO checks on compliance. November 2015 – Rainforest Action Network release statements citing the RSPO’s failure to address forced labor and human trafficking on RSPO member plantations, as well as RSPO’s certification of palm oil linked to forest fires, deforestation and gross violations of human and workers’ rights across the globe. March 25 2016 - the RSPO suspends the certification of palm oil giant IOI Group over breaches of RSPO principles by IOI’s subsidiaries following complaints of illegal land-clearing and fraudulent activities lodged by environmental consultancy and RSPO member Aidenvironment. June 2016 - PanEco Foundation, which heads the highly regarded Sumatran Orangutan Conservation Programme, releases a statement resigning their RSPO membership over RSPO’s ongoing inaction and failure to rein in an industry tainted by environmental destruction and human rights abuses. ​As a multi-stakeholder organisation, we rely on differing viewpoints within our organisation that represent civil society, producers and end-users. We encourage organisations to maintain a membership and work to change the organisation from within. We are saddened by the decision made by PanEco to resign, but in the meantime would like to acknowledge the five new NGO members who have decided to join the RSPO in 2016. August 2016 - the RSPO lifts their earlier March 2016 suspension of the IOI Group following a joint report by IOI Group and Aidenvironment on the progress regarding the Ketapang complaint. This reinstatement demonstrates a lack of will by RSPO’s leadership to enforce rules and consequences, and comes despite a letter (to which POI was signatory) from an international coalition of 22 NGOs urging industry and brands to boycott IOI. ​IOI’s suspension was lifted based on the initial progress achieved with the adoption of an action to plan to remediate the violations. The RSPO believes that the assessment of IOI’s commitment shall follow the due process according to its rules of procedures and code of conduct, and that any further sanction of the company shall be subject to the examination of available evidence by the RSPO Complaint Panel. Please refer to the statement here. We also would like to welcome the progress made by both parties in the resolution of this case, also following the joint statement from IOI and Aidenvironment that was recently published. September 2016 – A report by NGO Mighty written in partnership with Aidenvironment and other NGOs identifies major RSPO members IOI, Wilmar and Musim Mas as buyers of palm oil produced by Korindo, a Korean conglomerate found to have logged and burned massive tracts of pristine rainforest in Indonesian Papua and North Maluku. It is a significant failing of RSPO that it allows members to procure palm oil from suppliers which do not comply with RSPO sustainability standards, thereby contaminating the supply chain with ‘conflict’ palm oil. ​RSPO is a membership organisation, and we encourage members to respond to allegations against them in the interest of transparency. Wilmar has stated that it stopped buying from Korindo in June 2016 and continues to monitor this company. Musim Mas (http://www.musimmas.com/news/general-news/2016/commitment-towards-supporting-suppliers-through-their-sustainability-journey) has stated that it will continue to work with Korindo and provided its reasons. IOI stated that it has no direct relationship with Koridno (https://www.ioigroup.com/Content/NEWS/NewsroomDetails?intNewsID=819). RSPO did not formally respond to this report, as Korindo is not an RSPO member and not subject to the jurisdiction of the organization’s Principles & Criteria. On the POI statement and also in a different page of POI’s website here it is mentioned “Although the complaints panel is made up of various sectors of the industry including NGO's, the largest voting percentage have vested interest in oil palm in one way or another, be it making a profit from palm oil production or accepting regular funding from oil palm companies which is clearly a conflict of interest”. This statement is not only incorrect but a serious insinuation against RSPO Complaints panel members, who are voluntarily offering their time to contribute in the RSPO process. Firstly, there is no voting system in the RSPO complaints panel as decisions are made by consensus, this means that one sustained objection is sufficient to invalidate a decision. 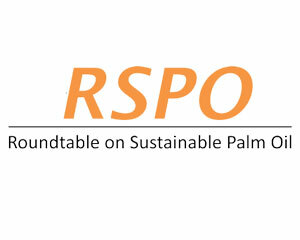 Moreover, the RSPO highly values the necessity of the neutrality of the Complaints Panel members. In regards to the insinuations on personal conflict of interests on the RSPO Complaints Panel, we would like to note that since end of 2014, no members of the RSPO Board of Governors (BoG) are allowed to be members of the Complaints Panel. As the potential issue of “conflict of interest” is mentioned on the Complaints Panel Code of Conduct and their Appointment Letter, the declaration of “Free from conflict of interest” is implemented in each of the Complaints Panel meetings and members of the Panel are checked for conflict of interest before they can participate in discussing a case. Minutes of all discussions are publicly available at http://www.rspo.org/members/complaints. RSPO certification can fail and does fall short of perfection. The RSPO complaints system is part of the accountability process that grants RSPO credibility towards all our stakeholders, including consumers. It also is the proof of a system that is working. Because the RSPO exists, and because of the values on which it is founded, it can be rightly questioned and challenged on non-compliance, and so too can its members. That makes a platform for transparency and it creates incentives for all members to comply with. Working with a vision of 100% market transformation presents many challenges, as well as opportunities. Transforming the market means embracing the whole industry to take everyone on board in our sustainability journey. Having said that, not all players have started from the same spot nor are moving at the same speed, and the main challenge is making sure that while remaining relevant for top performers, the standard remains inclusive.